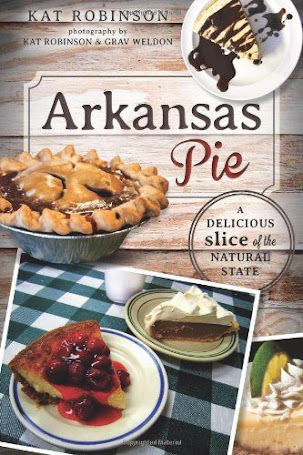 This story is part of a series on my personal rediscovery of Little Rock's culinary and cultural scene. 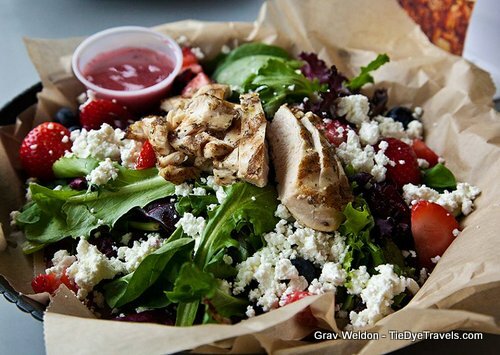 For more stories, follow Eat The City: The Little Rock Special. The expansion of Little Rock’s River Market District after the Clinton Presidential Center in 2004, offered another chance for outreach for Heifer International. In 2009, Heifer Village was opened. 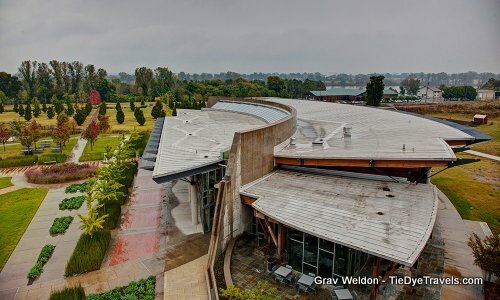 The semi-circular building to the north of World Headquarters houses a large education center, conference facilities, a gift shop and Café@Heifer, which offers late breakfast and lunch each day. The facility is built of recycled and renewable materials and uses passive solar heat and light. 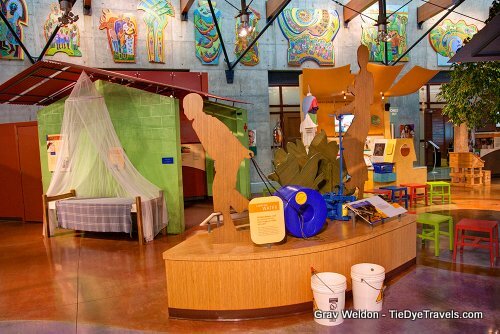 You'll often find kids taking the tour and exploring the exhibits. It's not just for kids. Visitors are encouraged to watch a video by popular television spokesman Alton Brown, a three minute overview outlining Heifer’s mission. Then they can explore the museum. 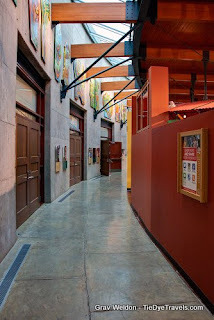 A good starting point is a review of the 12 milestones outlining Heifer’s mission, just inside the front doorway. Inside, each area is tied together with different colors, representing such ideas as Sustainability, Infrastructure, Health Care and Nutrition. 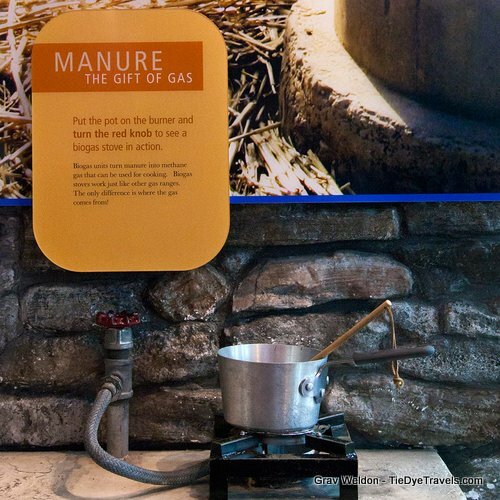 Hands-on exhibits offer audio recordings and video for an interactive experience. My daughter, mother and I recently toured the facility on a nice afternoon. We were welcomed and Hunter was given a quiz to fill out - a little work to do. She took this on gladly at first, before realizing along the way that it was, indeed work. But the promise of a reward kept her going. These aren't items kept behind glass. They're hands-on items that are meant to be handled. For instance, there are regular buckets that simulate how heavy water is, and a contraption that children could use to pull along a water container along a road that requires less effort to tote more water. She was amused by a section that showed how manure can be utilized as food - of course she was amused, we're talking about poop here - and intrigued by mosquito netting. And she spent a great deal of time trying to figure out the different homesteads in this particular diorama. What we explored wasn't just some sort of collection of items used in other countries. There was also a "supermarket" with check-out stations where Hunter could learn the value of a dollar and how much items cost compared to each other. She very much enjoyed that. 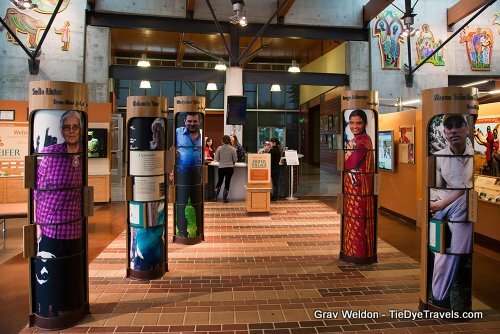 The exhibits are open for anyone who wants to come learn more about the Heifer mission; school groups are also encouraged to visit. 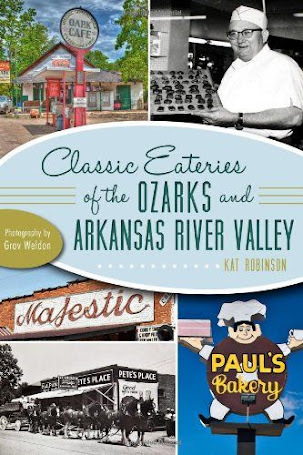 Reservations can be made by calling (501) 907-COWS. 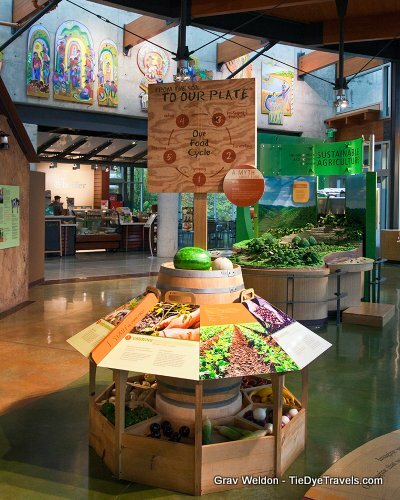 Truth is, there's another great reason to make multiple return trips to Heifer Village. 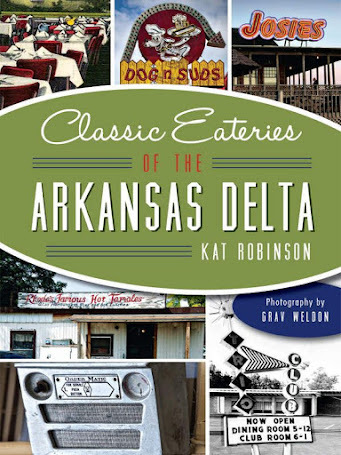 It's one of Little Rock's secret dining spots - a place you might not think about but which really deserves mention. It's Café@Heifer. Every Monday through Friday, starting at 10 a.m., the cafe is open to feed visitors. And the food varies considerably. You might think that a place that talks about sustainability would be very weeds-and-seeds. Well, some items are. For instance, I just dug into this Summer Berry Salad a few days ago. Strawberries, blueberries and dried cherries seem like a bonanza of sweet, but here they're tempered with a pairing of fresh (REALLY fresh) goat cheese. It's served on spinach leaves with a somewhat sweet strawberry poppy seed dressing. I got mine with grilled chicken, and that was an excellent choice, a good balance between vegetables and protein that was very, very satisfying. There's also a Summer Squash Quesadilla I am quite fond of, which is an all veggie-and-cheese extravaganza. But don't expect it to be just uber-healthy fare. After all, the goat cheese infused cheese dip served at Cafe@Heifer won the World Cheese Dip Competition in 2015 - and it's incredibly worthy (Listen to the response on this cheese dip in this podcast of Gravy, produced by the Southern Foodways Alliance). I bring people I like to Cafe@Heifer - because I love seeing the surprise. One friend came in and got a lunch special of barbecue and ham that was quite different from my veggie choices. And Grav... well, Grav had to rock the boat on our last visit by ordering sausage gravy and biscuits. I don't know what he was expecting, but it wasn't this plateful. He told me the biscuits were AOK, but that gravy? That gravy was stupendous. And let me tell you what, it's gorgeous in the cafe. Windows surround the dining area and light comes in from windows overhead, too. On good days, taking lunch on the patio is a splendid option. And when you're done, be sure to recycle what you have. Out back, there’s a lawn, a pavilion and a garden. 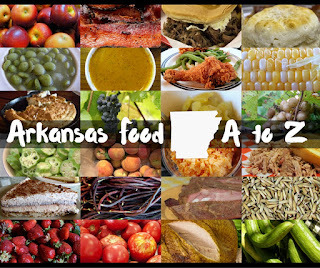 The annual Feast in the Field is offered here each May; the family-style meal created by local chefs is served on the lawn, and the proceeds for the event go to helping small farmers right here in Arkansas. For those wishing to take home a souvenir, the Shop@Heifer is a must-stop. Handcrafted clothing, satchels and other items are offered within, as well as books and food items. There’s a story behind every product offered. There’s also a desk where individuals can order animals from the annual Gift Catalog to send to a family in need. That's a lot of information to take in at once. Let me sum up with some links. Plan your visit to Heifer Village by clicking here first. 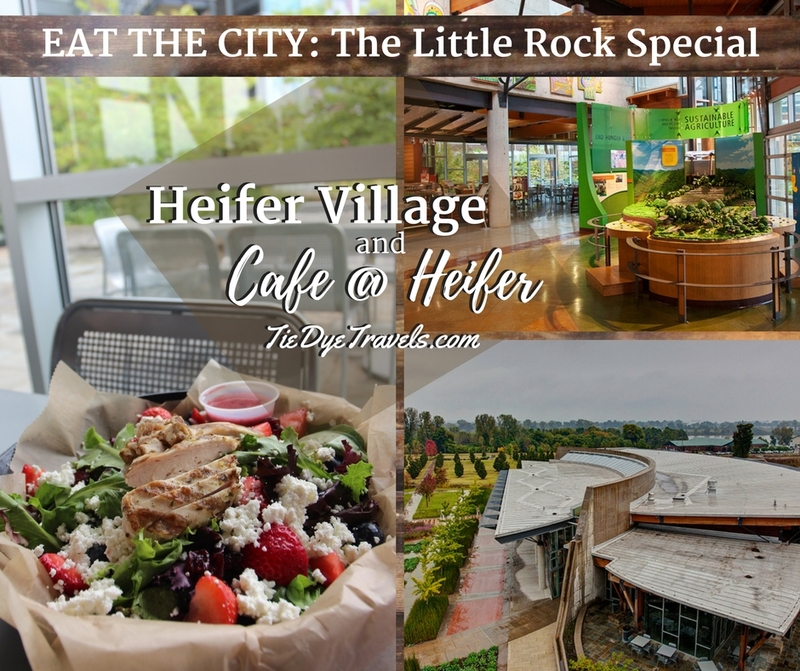 Cafe@Heifer is open 10 a.m. to 2 p.m. Monday through Friday. 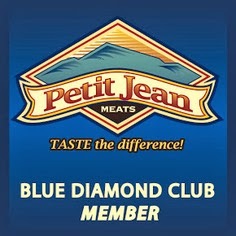 Head to this page to find out more about the restaurant and to download the latest menu. Oh, one more thing. 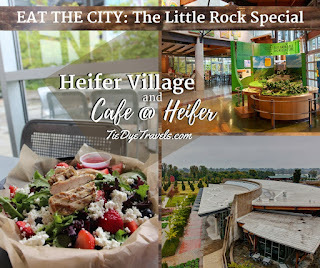 The conference center within Heifer Village is available for rental, and is often used for large groups who are coming to Little Rock for different functions. There have even been weddings in the facility. To find out more about that, click here.